Microgaming are always looking to innovate and improve their online gambling products, and within that category, slots stand out by a head and a shoulder. With Reel Play Poker, released in June, 2011, the company may just have achieved the pinnacle of video poker revolution. Reel Play Poker is a peculiar mix of various ingredients, all tested before but never poured into the same concoction. Power Poker, the trail-blazer in multi-hand poker and Level Up Poker, the game known for its sequential hands and multiplied payouts, are the basic ingredients of Reel Play Poker. Sprinkle in a slots element and you have a sure winner. The game is basically a Jacks or Better video poker game, but it’s set up the same way as a slot game. The player has to choose the number of pay-lines he wants to use, as well as the number of coins he’d like to bet on each line. The maximum is 20 coins and there are 20 pay-lines, so one can bet as much as 400 coins in one go. Once the ideal initial setup is achieved, the player hits the ‘Deal’ button and the action kicks off. Cards are dealt and the player has to pick the ones that he wants to hold. 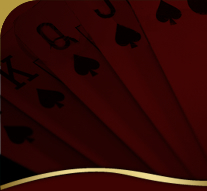 The game automatically recommends some cards to be held, but of course, the player can adopt a different strategy and discard those recommendations. After the right cards are held, the player can spin the other ones away by hitting the “Spin” button. The great thing about the game is that hands are evaluated along the various pay-lines and not only on a horizontal line. The maximum payout is hit when every pay-line is played with max coins and every one of them hits a royal flush. The Reel Play Poker slots are available in all the Microgaming casinos.